Bitter herbs are traditionally utilized to stimulate digestion, increase digestive enzymes and stomach acid, and reduce bloating and indigestion. * CN-GastroCalm is a combination liquid herbal extract made from organic and fair-trade certified herbs and designed for longer term use than other bitters tinctures. This formula is customized for those sensitive individuals with digestive diseases that need a gentler approach. 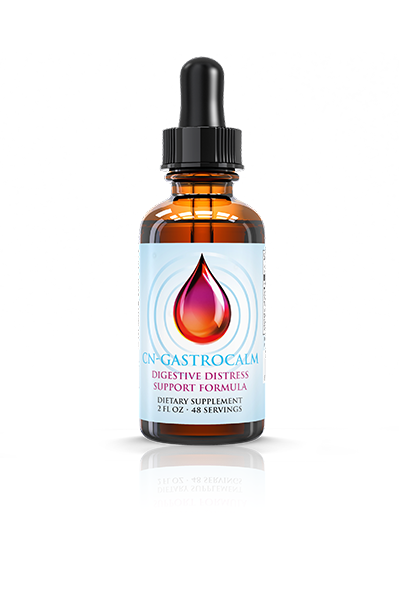 CN-GastroCalm contains dandelion, artichoke, chamomile, marshmallow root, wormwood, and ginger. Even though this is a milder bitters tincture than many other commercial preparations, all bitters tinctures are still contraindicated in people with excess stomach acid and those with peptic ulcers. This all-natural liquid concentrate is free from sugar, caffeine, artificial sweeteners, and artificial preservatives.